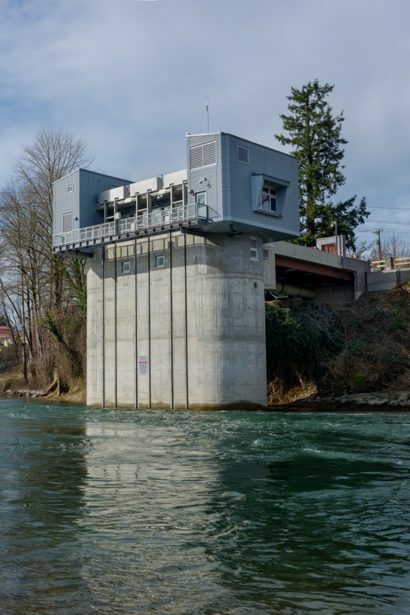 This new freshwater pump station for the Portland Water Bureau in Willamette Park replaces the aging 1912 Fulton Pump Station with a modern civic facility that serves many functions. 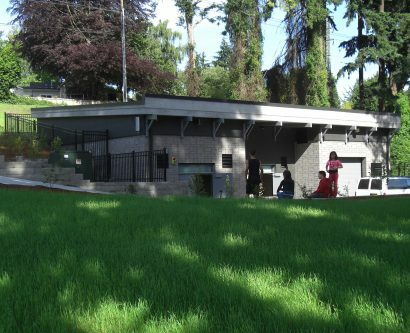 The building is an integral park structure; in addition to five pumps, it also provides public restrooms and storage for park equipment. 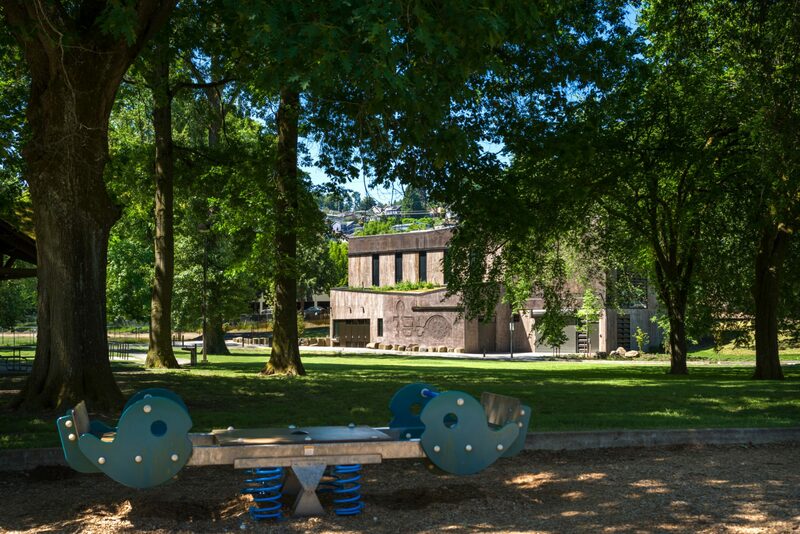 Located in a much loved public park, the new facility required an intensive public involvement process. 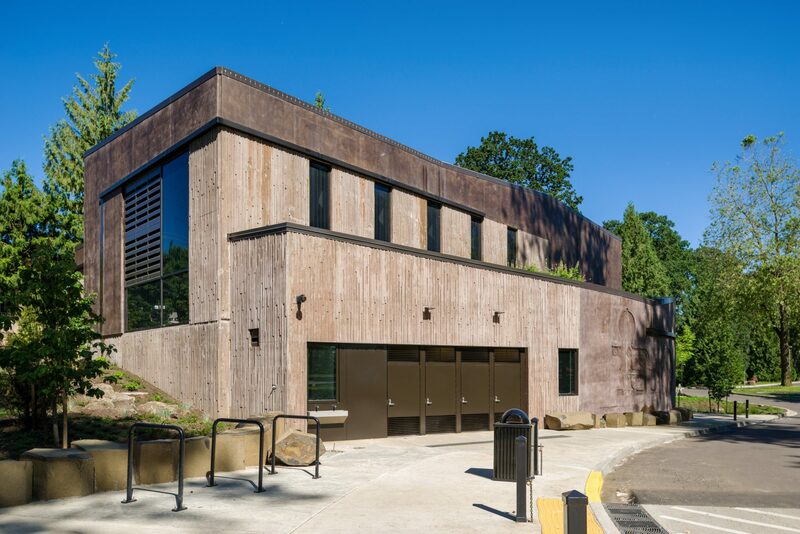 A nine member citizen advisory committee was formed by the Portland Water Bureau working with Portland Parks & Recreation to inform the design and identify some of the public amenities offered at the facility. 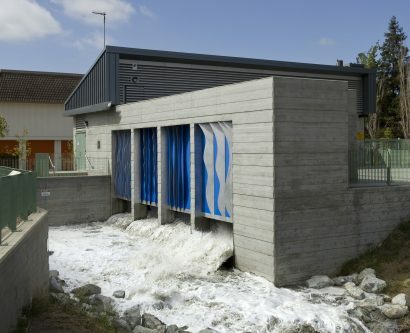 Designed to LEED Gold standards, this new pump station’s visual impact on the park is minimized by the use of native materials, a dark textured exterior, and installation of a public art piece. Public restrooms, an outdoor water faucet, and bike parking are easily accessible to park visitors. Green roofs and stormwater features are highlighted throughout the design. Located in the Pacific Flyway, bird friendly glass was chosen for all the windows on the site. The textured concrete is intended to be durable and easily maintained, as well as to allow lichen and moss to cling to it. 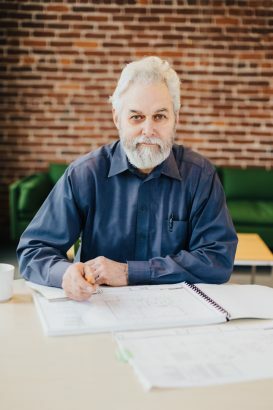 As the building ages it will become physically and visually more incorporated in its natural environment. Find more Hannah Mason info on the BLOG!